It's really nice when you can find good deals on eBay. It's even better when you find a really cool seller that combines shipping and is willing to negotiate. No, this isn't a Mickey Mantle, instead it's a RC of the other Mickey in the set. 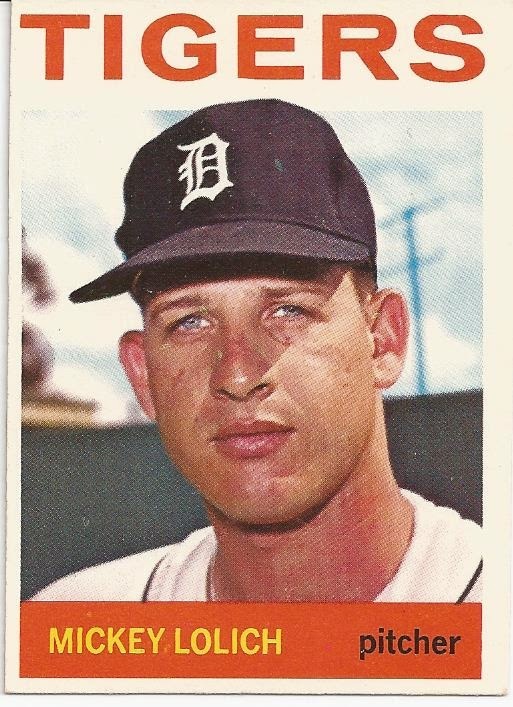 Easily one of the nicest cards I've purchased for the '64 set, this Mickey Lolich cost me $8 including shipping, and arrived at my door in fantastic condition. This card brings me down to needing only 14 more to hit the 80% goal by year's end. Nice pickup! I've always wanted a copy of this card.